Rabbi Mark Melamut joined the Upper Valley Jewish Community in August of 2018. Prior to this he was rabbi for ten years at Congregation B’nai Emunah, an egalitarian and conservative congregation in San Francisco. Growing up in Mobile, Alabama, he attended Jewish summer camp at Henry S. Jacob’s Camp in Utica, Mississippi. Mark studied business at Washington University, in St. Louis, Missouri. With a Bachelor of Science in Business Administration and a minor in religious studies, he moved to Burlington, Vermont, and worked at the U.S. Immigration administrative office doing accounting work. The Green Mountains fed his soul for a few years before he decided to pursue a Master of Religious Studies at the Yale Divinity School. Mark then journeyed to Israel for a couple years to gain experience and study, first in Arad at the World Union for Jewish Students (WUJS) and then in Jerusalem at the Pardes Institute of Jewish Studies, before entering rabbinical school. 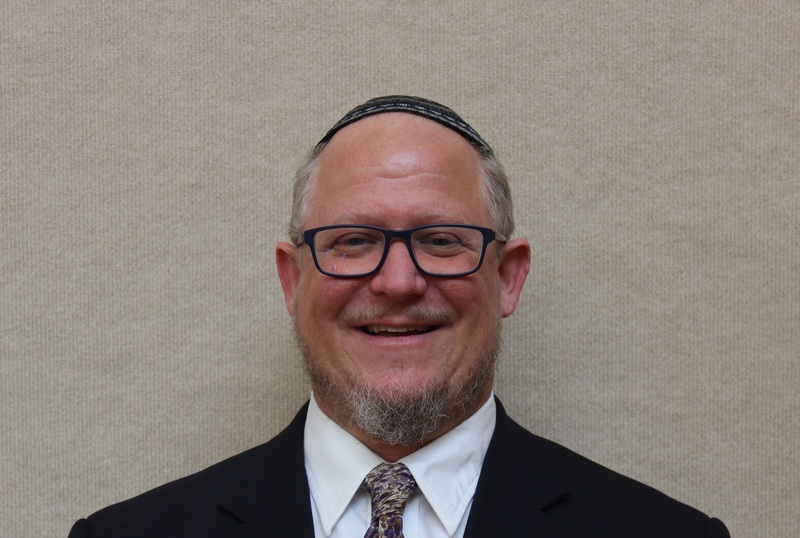 While at the Reconstructionist Rabbinical College, Mark studied in Israel for two more years, including at Hebrew University. He earned his Master of Arts in Hebrew Letters and rabbinic ordination in 2008. Rabbi Mark is honored to serve the UVJC. He and his wife Hayley and two children, Kinneret and Geffen are excited to be part of the Upper Valley community. Mark enjoys hiking, cooking, reading, writing, learning, gardening and hearing live music, especially jazz, whenever he can. The best way to get in touch with Rabbi is by emailing him at rabbi@uvjc.org.